LaKeesha Hines and her son, Braelyn, represented St. Joseph’s Children’s Hospital in Tampa, FL, at our 2010 Family Advocacy Day. Braelyn, who was born healthy but contracted bacterial meningitis as an infant, had been under St. Joseph’s Children’s care nearly his entire life at the time he attended Family Advocacy Day. Medicaid has covered a significant portion of the intensive care he requires. LaKeesha graciously shares what Medicaid has meant to Braelyn’s recovery and well-being. When I was first pregnant with Braelyn, I was a mother of a 6-year-old, in a long distance relationship, working full time and attending college part time. I felt joyful, excited and fearful. I was afraid because I knew it would be tough having a newborn with my extremely busy schedule. But because of the joy and excitement I felt about having a life growing inside of me, I made preparations for my unborn child. My boyfriend at the time, now husband, was also working full time and was a full-time college student in another state. Therefore, he had some fears as well, primarily about the financial responsibility a baby would bring. I had a normal pregnancy but ended up having an emergency C-section because my blood pressure dropped and my baby’s heart rate dropped significantly during delivery. Braelyn was born weighing 8 pounds, 3 ounces and was 21 1/2 inches long. He was completely healthy and we both were fine. But, when my son was 5 1/2 months old, he was hospitalized for meningitis. He spent more than six weeks in the hospital, more than half the time in the intensive care unit. He suffered from uncontrollable seizures, two strokes and he was unable to breathe on his own. I witnessed him stop breathing twice and nurses had to resuscitate him. Ultimately, he ended up having a “VP shunt” placed to drain fluid from his brain and a “G-tube” placed to deliver nutrition directly into his stomach. I remained at my son’s bedside the entire time. While our families did not live close by, they tried to come whenever they could. Unfortunately, they could not afford to travel often. When we finally went home from the hospital, I was still pumping so my son could benefit from my breast milk. I was able to get a loaner pump as I could not afford to buy one. He had six different doctors: a pediatrician, an infectious disease specialist, a neurologist, a neurosurgeon, a developmental pediatrician and a gastrointestinal doctor. His neurologist wrote orders for him to begin physical, occupational and speech therapies while we were still in the hospital. The therapies continued after we were discharged. My son was basically a vegetable. He did not laugh, smile, cry or seem to feel pain. When I was pregnant, I dreamed of how my baby would be and of the type of man my son would become. Because of this tragedy, my hopes, dreams and aspirations for my son all died. I felt lost and confused. Suddenly I was thrust into the world of caring for a disabled child. I also worried I would not be able to afford to take care of my child or to pay for the care he would need for the rest of his life. After years of aggressive therapy, weight management, finding the right combination of medications and receiving consistent quality health care, my son is thriving. If it had not been for Medicaid, I would not have been able to afford the breast pump that allowed my child to receive those very important antibodies found in my breast milk or the surgery to install the G-tube which allowed him to receive the milk into his stomach. I would not have been able to afford the health care or the therapies that have aided in his recovery and have contributed to Braelyn’s opportunity at a quality life. Medicaid has allowed us to provide Braelyn with a wheelchair, glasses and diapers, which he continues to wear to this day. Medicaid has also allowed my son to receive aquatic therapy which has helped to improve his motor skills. Thanks to the quality care he received by way of Medicaid, my son was finally able to walk on his own at 6 years old. It is extremely important for everyone who has never received Medicaid to know it is not just in place to help those who are low-income, but for children who are chronically ill and require more intense, quality care than the average child. Because I know my child will continue to need assistance above and beyond what the average child will need, I am praying Medicaid continues to exist. I am extremely thankful for Medicaid and know without a shadow of a doubt that having it aided in giving my son the opportunity for a rich, fulfilling life. On Feb. 22, the Children’s Hospital Association kicked-off its four-part Medicaid Matters for Kids briefing series with Medicaid and Kids 101. The briefing gave congressional staff a “101,” or basic understanding, of Medicaid’s structure, including: who the program serves, what types of services it provides, and how it is financed. With Medicaid covering more than one in three children nationwide, the information provided to Hill staff comes at a critical juncture as the program remains vulnerable to cuts as a means to alleviate budget pressures at the federal level. The panelists touched upon the Affordable Care Act (ACA)’s change of eligibility and its effects on children. Cynthia Pellegrini, senior vice president for public policy and government affairs with the March of Dimes, opened the briefing as moderator, emphasizing how important Medicaid is to all children, providing services across all spectrums regardless of diagnosis or income. The first panelist, Joan Alker, co-executive director Georgetown Center for Children and Families, set the context of the briefing. According to Alker who cited data from Georgetown Center for Children and Families, children make up 50 percent of the beneficiary group within Medicaid but only take up 20 percent of the cost. Although uninsured children are below national averages, red tape increasingly bars children that are eligible for Medicaid from being insured. Alker explained that as the ACA expands eligibility within the Medicaid system and more people are insured through Medicaid and the Exchanges, children too will gain more coverage. Stan Dorn, J.D., senior fellow with the Urban Institute, followed Alker, presenting on data from the Institute on which children are covered by Medicaid and how they qualify. Dorn stated that 46 percent of all American births are covered by Medicaid, emphasizing that mothers covered during pregnancy can significantly increase the chances children are born healthy, reducing post-natal costs. According to Dorn, three-fourths of children covered by Medicaid have at least one parent employed either part or full time. Dorn stressed that Medicaid is not just for the poor. Medicaid can provide supplementary coverage to families with private insurance that may not cover all service required for their child’s care. Medicaid is also critical to children with special health care needs, providing them with lifesaving services. The final presenter, Jana Monaco, discussed how vital Medicaid has been to her family, particularly to her son, Stephen. When Stephen was diagnosed at 3 years of age with an inborn error of metabolism, isovaleric academia, the Monacos could not forsee how critical Medicaid would be to Stephen’s long term care. While the Monacos are covered by private insurance, it does not cover every service or piece of equipment Stephen required, such as his wheelchair, feeding supplies and respite care. Jana stressed how Medicaid has enabled her and her husband to continue to care for their other children without worrying about burdensome medical debt. More than 90 congressional staffers and organizations attended the event, making the briefing a success in getting the message out: Medicaid matters to kids. This briefing was the first in a four-part series dedicated to exploring how Medicaid matters to kids’ health. Medicaid Matters for Kids features national pediatric policy experts addressing topics such as the basics of Medicaid and the Children’s Health Insurance Program (CHIP), and cost-saving innovations in delivery system improvement. 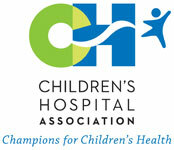 For more details on upcoming briefings, visit www.childrenshospitals.net/medicaidmatters. The briefing series is sponsored by Children’s Hospital Association, First Focus, American Academy of Pediatrics, March of Dimes, Georgetown Center for Children and Families and Family Voices in cooperation with the Congressional Children’s Health Care Caucus. Simone spent more than a year in the hospital after her birth and has had many more visits since due to various illnesses and for surgeries due to craniosynostosis, a skull deformity; tracheomalasia, a floppy airway; and cystic fibrosis (CF), a chronic lung disease. Because of her fragile lung status, she has a tracheostomy (a surgically created opening in the neck leading directly to the trachea) and requires oxygen and mechanical ventilation at night. Last January, Simone suffered a severe stroke during surgery and was paralyzed on her right side. With the help of therapists at Mt. Washington Pediatric Hospital, Simone has regained most of what she lost. We were honored to have her join us for Family Advocacy Day in 2012, and recently reached out to her mother, Shannon, for an update as part of our Medicaid Matters for Kids Month. When did your child first go on Medicaid? Simone first went on Medicaid in June 2010, when she came home after spending the first 13 months of her life in the hospital. How does Medicaid make a difference in Simone’s care? The primary way we participate in Medicaid in Maryland is through the Model Waiver program, which is also known as the Katie Beckett waiver, created by President Reagan in 1981. Katie Beckett’s family advocated and paved the way for sick children, like their Katie, to go home from the hospital and receive care at home without losing federal support, and saving federal dollars all at the same time. In Maryland, we’re extremely lucky to have one of the 200 slots. There is a waiting list based on need. The Becketts were so brave and smart to advocate that it’s healthier and less costly to have children with serious health issues — but who are stable — live at home. While being in one saved Simone’s life numerous times, a hospital is no place to live permanently. Simone’s infection risk with CF is high so being home is ideal. Her development since being out of a hospital bed has progressed beyond our wildest dreams. She knows over 100 signs using American Sign Language, knows all of her letters and is a very funny, loving girl. Through the Model Waiver, Medicaid fills in the gaps where our private insurance falls short. One of the biggest gaps is nightly nursing. Simone requires a nurse to monitor her ventilator and feeding tube while she sleeps. It's an active night from 8 p.m. to 6:30 a.m. The nurse gives Simone five nebulizer respiratory treatments through her tracheostomy tube which takes about 1-1.5 hours. She ensures Simone is fed continuously through her gastrostomy tube (g-tube), provides multiple medications via g-tube at three intervals in the night, and transfers her to a ventilator and oxygen. Throughout the night we can hear Simone coughing and her oxygen monitor and the ventilator will alarm. The nurse will provide physical therapy to her chest to loosen her phlegm, suction her, and gave her an albuterol treatment. We can sleep. And in the morning, I’m able to be her day nurse and her mother. What would happen if Medicaid services were reduced or cut in your state? Without Medicaid, our lives would be dramatically different. If we had to pay for nursing out of pocket, it would exhaust our financial resources quickly. One of us would have to be up with her every night taking care of her and the emotional and physical toll would be unmanageable. We have had our share of nights without a nurse and while we make it work, it is amazing how quickly "normal" life devolves. Since my husband travels most weeks for work, he’d have to leave his position and find work locally, probably for less money and changes to health insurance. I am currently looking for a job but this would need to be put on hold as my "job" would be to function as her nurse at night too. As far as Simone, I’d like to think we could handle her illnesses on our own but the reality is she’d probably spend more time in the hospital, away from family, friends and normalcy. Having a health professional in the home not only provides much needed relief to the parents, they are another set of expert eyes and hands, able to assess and care for her health daily, assisting during emergency trach or g-tube changes, and strategizing with us about all aspects of her care. Before having Simone, I didn’t know much about kids with special medical needs. I had no idea of the absolute all-encompassing effort it takes to care for a sick loved one. Even though we made it home from the hospital, we have a mini hospital at home. It’s a marathon and is relentless, requiring coordination and constant diligence to keep her well on the part of her parents, her doctors and her nurses at night. Because of the CF, when she gets sick it can be quite serious and for her it can mean going back in the hospital. She’s on oral antibiotics constantly but she is also able to receive IV antibiotics at home. She sees 12 pediatric specialists and four therapists (speech/feeding/OT/PT). Simone will probably need one more surgery —open heart surgery to remove a growth—and she will battle CF for life. We feel confident that we won’t need Medicaid for very much longer, but it has been an absolute lifesaver for us. Sometimes after Simone gets up in the morning she falls asleep again in my lap. I look down at her and wonder why she has to go through so much. I really don’t think there is an answer. But I do think that people like Simone give us the opportunity to show us how good we can be—as parents, as nurses, as doctors, and as a society. She is a very happy child. I think we’re doing good work. For Simone and friends like her, I hope this program will continue to be improved and strengthened. Medicaid is working for our family, as a safety net, filling in the gaps where private insurance lets us down. So when people make decisions about Medicaid, we hope they remember families like ours. Medicaid supplements your private family coverage, correct? Simone represents a population of people who participate in the Medicaid program because our private, primary insurance is not sufficient —it serves as a wrap around our primary insurance. For the last two and a half years Medicaid has been a safety net for our family. It’s helped Simone stay healthy and out of the hospital, and our family together. Our primary insurance only pays for 90 days of night nursing each year. Without Medicaid, by the end of March, we would have used up all of our nursing coverage for the year. But in April, Medicaid kicks in and covers a night nurse for the next nine months of the year. There are also some therapies that our private insurance does not cover that Medicaid coverage has allowed her to receive. In the year since you attended Family Advocacy Day, how has Simone’s condition changed? Simone recently began attending school and as wonderful as this is for her developmentally, like any other typical child, she is sick often as a result of new germ exposures. She has had to be on many more medications, miss a lot of school and has had many sleepless nights as her lungs have been compromised by the numerous infections. To see her in the day time though, you wouldn't know it as she remains a vibrant, shining, loving little person!